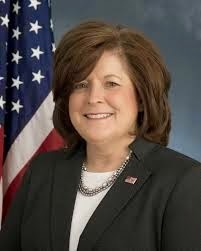 Secret Service Director Julia Pierson resigned Wednesday after lapses in the president's security came to light. Joseph Clancy, who formerly served as special agent in charge of the Presidential Protective Division of the Secret Service, will be appointed interim acting director of the agency. "Over the last several days we've seen recent and accumulating reports raising questions about the performance of the agency, and the president concluded that new leadership of that agency was required," White House press secretary Josh Earnest said after the announcement.